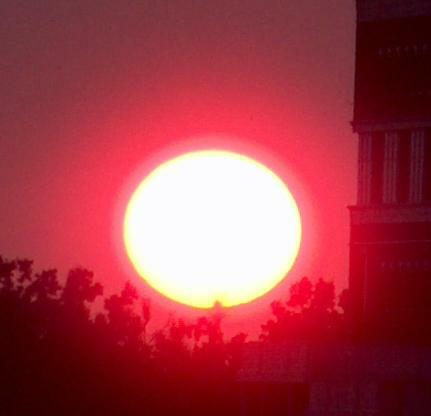 Here's the July 29 Lexington Ky sunset. Shot with the HP 850 4 MP full auto. 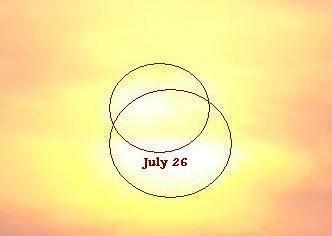 It looks like a typical round sunset, except it's huge, then when you blow it up, its not round at all, its oval. 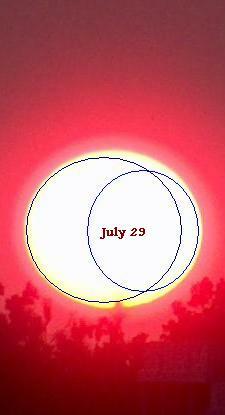 Note that in only 3 days, the occultation has progressed.